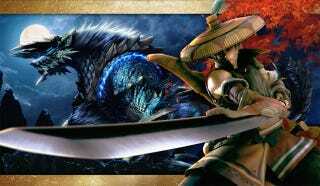 The Monster Hunter dynasty continues its proud rein in Japan this week with the latest entry in Capcom's beast slaying sensation managing to win over more PSP fans to its brand of hack and slash action. It may have had something to do with the fact that only one key release managed to sell well enough in Japan to crack the top ten. That would be Square Enix's SaGa 3: Jikuu no Hasha - Shadow or Light for the Nintendo DS. Slow releases means one thing — the chart is dominated by "evergreen" Nintendo releases like New Super Mario Bros. Wii, Mario Kart Wii and Wii Fit Plus. Finally, those Wii games are getting some recognition! Below are the bestselling video games in Japan for the week of January 3 to 9, according to sales tracker Media Create. On the hardware front, the chart belongs to Nintendo. PSP sales slip to a low point, while the Wii gains ground on the PlayStation 3.